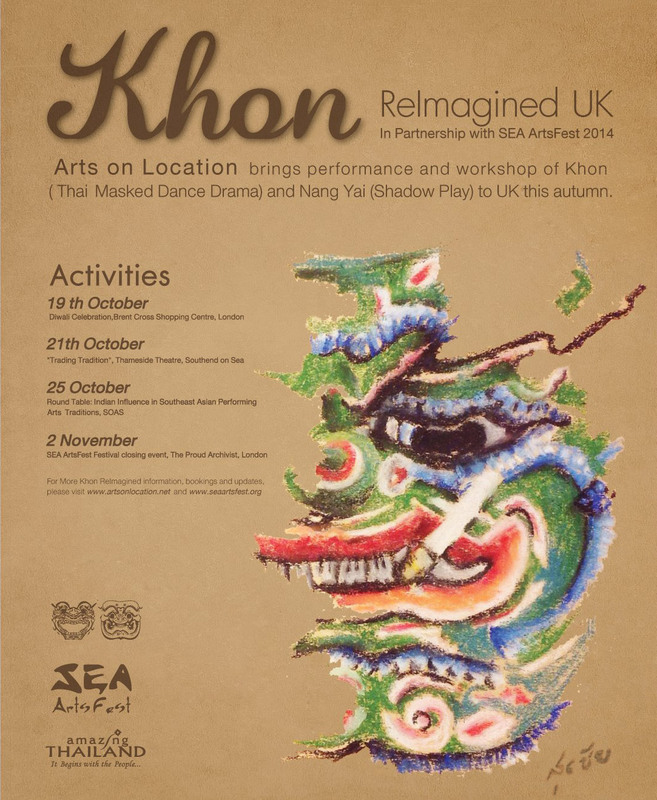 Khon masters from The College of Dramatic Arts, Dr Chulachart Aranyanak and Mr Pattanapong Aranyanak visited the UK from 17th October to 3rd November, 2014 to perform and teach Khon and Nang Yai workshops for the public. 2017 © artsonlocation.net. Website design by CHANIKUL DECHPHOLKRANG built with WordPress. Chanikul.com.